The only part of writing a book that is truly work is here. Most of what I do is an ‘I can’t-believe-I-get-paid-for-this’ proposition. The travel, meeting new people, the solitude of writing, even the business negotiations are usually pretty cool to handle. But when the book comes out, you have to talk about it, and way too often, you have to talk about yourself. That’s awkward when most of your life is taken up reporting on the world at large. You tend to look at things externally as part of the process of journalism. When: Wednesday, June 01, 2011 2:00 PM-2:30 PM (GMT-06:00) Central Time (US & Canada). This is reporting to unpleasant work, as I would imagine going to the office at an appointed time every day. Nothing against the station or the others who want to know about how I did this reporting and writing. I’ll try to stick around more for pleasantries afterward this time around. But in this book, I tried to explain as much as I could about the journalistic process, keeping in mind the questions that were asked of me during press for A Slaying in the Suburbs: The Tara Grant Murder. We were asked about our methods repeatedly, which shows there is an interest in getting there as well as the final work. I agree with her, of course, and am sickened by our tabloid culture. But Sarah is a very public person—and while on the lam, a felon whose very past is truly a public record, and deservedly so—and therefore there is little compassion for someone who tries to frame the world to her liking. 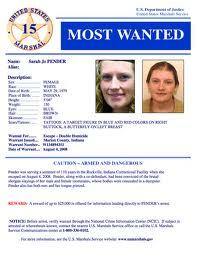 Sarah Pender, like so many of those incarcerated, feels wronged by the system. Her appeals failed, and Sarah took matters into her own hands. She found a dirty guard—apparently not a difficult task in the Indiana DOC—and used him to get her out. She had done her time, she told everyone. Eight years is long enough, she said to anyone who would listen. You’ve heard about killers and other criminals who escape prison, reform, and lead exemplary lives ever after until one day, through fluke or fate, they get nabbed and are sent back to prison. This is the story of Sarah Pender, a woman who just about made that break, and she very well could have been your close friend, neighbor, accountant, whatever.